The Mayfly... - Liz Loves Books.Com. I won’t give anything away but the story fairly rocks along, whilst at the same time fleshing out (so to speak) the characters, digging them into your consciousness so when bad things happen to them you are all discombobulated – and bad things do happen. Boy do they. 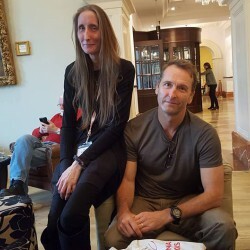 I like to find new crime fiction that has a different spin to put on things – what James Hazel does here is give you all the elements of a decent crime thriller with added oomph. Charlie Priest really is no ordinary lawyer – I’ll let you find out why for yourselves – but it adds a brilliantly intriguing twist on things that allows for some really meaningful moments in a plot full of layered depth. Also, his family is kind of weird – in the best reading way, I loved them. Even the one that I should probably be wary of. I loved the past/present elements that all fused together ultimately, I really had no idea where this was going to end up, another reason for enjoying it thoroughly – I like the unpredictable not a lot get me that way these days. Even if I’d worked out every nuance though I would still have loved it – the characters are so fascinating, their relationships in our infancy of knowing them here are cleverly addictive – can’t wait for more now. Really. If the next book in the series is as good then its heading straight onto the must buy list. 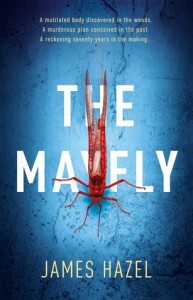 Occasionally horrifically shiver inducing, never less than irresistible, The Mayfly is really top notch. Intelligently constructed, characters to die for and a truly sterling opening to what I hope will be a long running series. Charlie Priest. Remember the name.